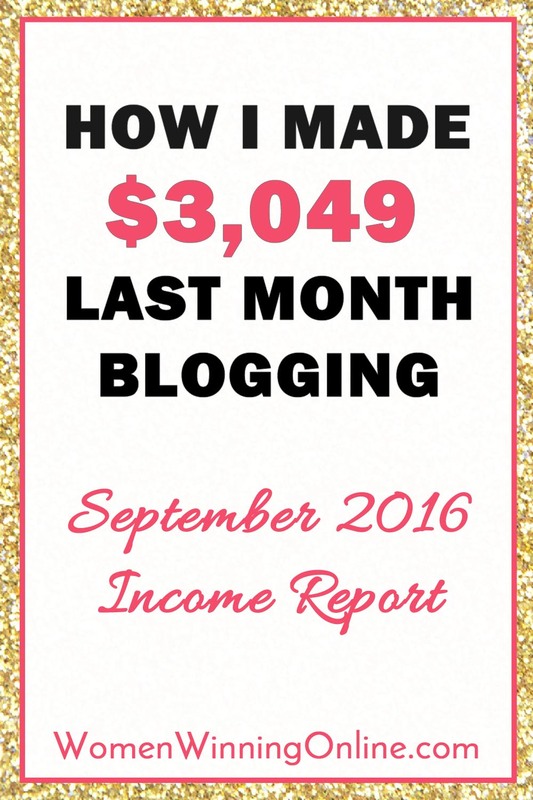 The beginning of the month is here and that means a blog income report! I love blog income reports because they help hold me accountable, show me what I have accomplished, and where I need to grow. Each month I share marketing strategies that I try to grow my blog and business. I share ideas that I tried and then what worked and didn’t work. My hope is that my blog income reports show my wins, losses, and lessons that will help you on your blogging journey too! Help people through my writing and services. Increase my email list every month. Earn an income through services, classes, products, reviews and advertisements. Let’s take a look at my blog income report and how I did meeting my goals this month! Are you ready to start your own blog? Check out my step-by-step tutorial on how to get your blog up and running in just minutes! What can you do in 7 minutes? September’s Goals Win or Miss? 4. Grow Facebook group to 1,150 women: Win 1,234! 5. Post daily on Twitter and Instagram: Complete Miss! 6. Sell 60 “Find Your Tribe Online” Win! 60 on the nose! Note some of these links are affiliate links including items I have personally used. Please see my affiliate disclosure here. If you have any questions about my income or expenses please leave me a comment below! SiteGround: $50.00 —> This income comes from a page where I show you how to start a blog in under 10 minutes. Oh boy did my affiliates work hard this month! I sold 39 copies of Find Your Tribe Online and the affiliates sold 21 copies. Almost half! They really loved on FYTO this month and that means a lot to me. I love nothing more than to send my affiliates big, fat commissions at the beginning of the month. I look at it like we are a team. When we all make money from this program, we all win. We are making money and helping people at the same time it doesn’t get any better than that. Wrote a blog post including it as a top resource for new bloggers. Promoted in their own Facebook groups. Wrote a post on how it helped them. Shared in other people’s Facebook groups. Thank you my affiliates, my team, for sharing Find Your Tribe Online with your people! It really does mean the world to me that you have that kind of faith in my program! Takeaway: If you have your own program/course/product, consider adding an affiliate program. They will work for you on your behalf and be your own sales force. Don’t be afraid that you are “losing money” to affiliates. This is money that more than likely you wouldn’t have earned without their help. Sometimes it can take someone else promoting your program to really help sales come in. Look at your affiliates as an extension of you and help them to help your program. I have to admit, when I first opened The Society I was a nervous wreck. I was terrified that I wouldn’t be able to give them what they need. For whatever reason my confidence took a huge hit the first week the group was in existence. It was weird. But wow, did I underestimate myself! These 18 women came in strong, ready to listen, ready to learn, and ready to work. It is an incredible group! In fact I noticed right off the bat that these core 18 women were perfect just as they are. It is a good dynamic and I didn’t want to mess with it. So after the first week The Society was live, I stopped promoting it. Yes my initial goal was 40 women but I quickly learned two things about that goal. First, 40 women is a lot of women! I don’t think I could have supported 40 women in the way they deserved in addition to everything else I have going on in my business and personal life. Second, it goes back to this core group of 18. These 18 women are leaning on each other, supporting each other, and helping each other. Even more so than in the Women Winning Online Facebook group. It’s really amazing and I didn’t want to mess with that connection. Takeaway: Don’t be afraid to reassess your goals and pivot if you need to. I could have stuck hard to that number of 40 women and missed out on the fantastic 18 that are with me. At first I felt bad because I missed my goal. But I soon realized that goal is just a number. The 18 women are people that need my help and people matter more than numbers. Also don’t be afraid to put yourself out there. You have an expertise that the world, your people need. When your confidence gets shaken remember that we need you! At the end of September I took the time to survey my audience. I haven’t done that for about six months and it was time to do it again. I am so glad I did! 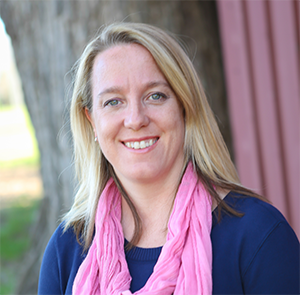 I received very valuable information about where to go next in my blog and business. The feedback I received was surprising and so helpful. I am glad I took the time to do this in September. Takeaway: If you haven’t surveyed your audience take the time to do it. When you know what it is that the really want, you can give it to them. When you do that your blog will grow! I think since the beginning of Women Winning Online my email newsletter has been my saving grace. I get a lot of compliments on it every week. My unsubscribe rate for it is about 3% which is incredibly low. I think because I have taken the time to pour real value into my email newsletters and my subscribers for the last 24 weeks, people are sticking around. I feel like it’s okay to send sales emails because I am providing a ton of value first, then asking for the sale later. My email newsletter is also helping me to sell copies of Find Your Tribe Online. Each week I include a testimonial in the P.S. section and each week I make a few sales from it. I’m so grateful for that kind of loyalty. Takeaway: If you have not started your email newsletter do it right away! Put that at the top of your goal list for October. Figure out when you are going to send it each week without fail, and when you are going to spend time writing it each week. I have gotten it so my email newsletter takes me about 20-30 minutes to write each week. And the return on investment has been incredible! If you need help figuring out what to say in your email newsletter, check out my free worksheet to help you brainstorm ideas! I have a love/hate relationship with my income reports and I have only been doing them for 4 months! In this section I will explain the love part. I like doing income reports because they challenge me and they keep me on track. When the month starts to drag on or I have too many ideas in my head, I go back to my income report for the previous month to look at what I should be working on. This always centers me and helps me to avoid the Shiny Object Syndrome. My income reports also challenge me. I know that people read them to see how I do from month-to-month. My income reports motivate me to stay on track to hit my goals both with blog tasks and financial goals. The success that people are having with Find Your Tribe Online is blowing me away! Almost daily I am receiving messages about the wins people are having with FYTO. I am so happy for them too! They deserve to have this kind of success with their blogs! Find Your Tribe Online is working so well that I am going to add to it in October! There will be a private Facebook group for all owners of FYTO where we will discuss strategies, what’s working and what’s not. I am also going to up level Find Your Tribe Online and turn it into my first mini-course. I am super excited about that! Takeaway: When you create a program that works for people, look at what you can do to improve it. It will help them grow and give them more value. Plus there is a potential for you to raise the price of your product when you add to it. Have you purchased Find Your Tribe Online? If not grab it here and grow your blog in October! Oh you guys I had a rough month. I can look back at September from the safety of October and say “boy was that not a fun month.” Some days I had hustle in September and got.stuff.done. Other days not so much. In September school started, which I was excited for, but I forgot how it throws a wrench into everything. Getting used to the new schedules, all three kids being in some sort of school, and me doing it mostly on my own during the day. My son had an issue with his stepping stones preschool class that was on the director of the program. It took an entire week to figure out and it coincided with the week my husband was gone again. And yes add that, my husband was gone for his last training for a week, the second week of school. I sleep terribly when he is gone so it was a rough week. On top of ALL of that, I have Lupus. I have Lupus that never bothers me and I am very lucky. Except for some reason in September, it bothered me every single week, almost every day. I was fatigued, in pain, couldn’t focus, and it wasn’t good. My body forced me to rest. I am so thankful that I am feeling better and pray it stays that way. Chronic illness is a tough up and down battle. All of this lead to me being pulled in a million directions in September. I was always feeling behind and in a constant state of overwhelm. I know for a fact that I tried to do too much and it caught up with me. I just did not feel like me physically, emotionally, or mentally in September and I so happy the month is over! I was definitely in a funk and I am happy that it has lifted. Oh my gosh you guys, if you are on my email list, you got an email from me at the end of September that I screwed up. I forgot to check my segmentation on my email contacts and sent the link to my paid class to all my email subscribers! I was SO embarrassed! That link was only for people that had paid for the class. Ugh! I had already sent two emails to my list in three days and then I had to send another one. A damage control email. Three emails in four days. Oh I was so worried about irritating people. But like a few of my good bloggy friends told me, if people will abandon me at my first mistake, they weren’t loyal to begin with. The people that stayed are the ones that are loyal to me and see the value I provide. I sent out that email and I braced myself for the onslaught of unsubscribes. Then it didn’t happen. I was and am so thankful for that! In fact people were so kind to email me and say the nicest things. I feel lucky to be connected to the nicest people on the internet! Takeaway: Most of my mistakes happen when I am working at night, way late into the night. Mistakes are bound to happen when you’re overtired, at least for me they are. If things are technical or require a lot of thinking on my part, I am better off doing them in the morning when I am at my best. Oh and if you make a mistake with your followers, have the courage to own up to it. I found they will respect you more when you do! I did it to myself again. I set up way too many goals in September. I had no idea where to start, what to promote, or how to do it without annoying my followers. Or without coming across like a giant sales pitch every time I spoke. I realized in September just how short a month is. When I was finished promoting one thing, I was off to promoting the next. It was just too much. Too much. Takeaway: When you try to achieve too many things in a short amount of time it is hard to focus. You end up not knowing which way is up and what to do next. It can be overwhelming which makes it hard to reach your goals. It is better to focus on a few big goals than to try to do it all at once! Remember how I said I have a love/hate with income reports? Well here is the hate part. I think doing an income report put a lot of pressure on me in September– unnecessary pressure too! The second week of September I realized I was going to miss a good chunk of my goals and it really brought me down. It almost sunk me. I said to myself “What are people going to think if I fail? What are they going to say if I miss my goals?” I immediately took all that responsibility on myself and it brought me way, way down. That’s the hate part of the income report. Takeaway: This whole blog, everything I do is an experiment. There will be wins, there will be losses. If I get so tied into what other people think of me, I will lose before I even start. I can’t put that kind of pressure on myself. As long as I am helping people, giving a ton of value, making my half of the required income, and above all else taking time for Jesus, my husband, and my kids, than that’s all that matters. I aim to do more of that in October. It’s when I am at my best and the happiest too. The day I sent an email for my landing page class, not one person signed up. Oh my gosh did that depress me! I was so upset! Then I shook off the dust because I knew, no matter what, I was presenting it to the women in The Society. So I looked at why it didn’t work. I realized I was calling it a webinar instead of a class. A webinar is free, classes are not. I rearranged the wording and the presentation which I think drew people in. But I still am not sure if selling live classes like that really work. I am not sure if people see the value in them. Or maybe it’s an issue if they can’t be there live, they don’t want to pay for it. This is still an experiment I am playing with. Takeaway: When things don’t work out like you think they are going to, don’t be afraid to look at what went wrong. This is the only way we can learn and do better next time. At first I was really down on myself that no one signed up. But now that I have an idea of what I did wrong, I can adjust it for next time. This is how we get better! In June of this year, I realized that I wanted a membership site. I wanted to create a membership site with a lot of mini courses in it to help people. A reference library of sorts that they could access whenever they wanted to try anything new on their blog. I still kind of want that, but I am not sure if the timing is right for me. Membership sites require a lot of individual attention to each member to keep them signed up every month. If I am being honest with myself and with you, I don’t know if I have that kind of time right now. So I am making a pivot. I am going to create those mini courses and a library of sorts. But the courses will be individually priced at an amount that is budget friendly to the new and growing blogger. I haven’t worked out all the details yet, but as soon as I do I will send out an email. Make sure you are on my list so you are the first to hear about it! Takeaway: Always take the time to evaluate your blog and your business. Where are you going? Where do you want to go? What kind of lifestyle do you want your blog to create for you? Don’t be afraid to make changes to ideas that you originally wanted to do. And definitely be aware of what you can handle depending on your season of life. October I am ready for you! I am ready to end this year strong and start working on plans for 2017! What are your goals for October? How was your September? Please share in the comments below! Thank you for taking the time to comment! I get super motivated when I read your income reports. It makes me want to do better with being organized and knowing my numbers for my blog. Sometimes I feel like i’m flying by the seat of my pants. September was absolutely nuts for me and I missed a week of blog post and newsletter. Setting goals for October now! How exciting for your growth! I like our takeaway sections. It totally shows how your mistakes or fails can really help you make a lesson to help you grow. I’m amazed by all the streams of income you’ve created in what – to me – seems to be in a very short amount of time! I really want to make a product of my Twins Mommy but I know I really can’t focus until my twins go to school next year. I still freelance write and have to support my course members of my freelance writing course. But I have a lot of things I want to to! So happy you did your first webinar. I thought I signed up to it, but maybe I didn’t? I don’t remember getting any emails, but then again I sign up to webinars all the time 🙂 Would love to see it though! Thank you Elna for your comment! Yes the takeaways are huge for me. I don’t want to just write about what’s working and what’s not. I want to show people exactly what they can learn from each item on the list. I love how you do yours too. Yes the diversified income stream was definitely pretty to look at, but man was it stressful! I felt like I was constantly promoting and selling. I would love to find a healthy balance that is for sure. I am still not finding it yet in October. 🙂 Ah it’s all an experiment and a work-in-progress isn’t it?! What a great month Jen! I am so proud of you and the growth you experienced! I love that you share what does and doesn’t work. Specifically, I liked that you shared how your first paid webinar wasn’t as successful as you had hoped. Trying is not failing, and making mistakes is how we make something incredible! This is going to go far for you! Keep strong! Thank you, Amanda! I appreciate your comment and encouragement. I totally agree that we learn so much from making mistakes which allows us to make something better. Congrats on such a successful month! You have so many goals for October, I hope you achieve all of them( + more!) I’ll check back in to cheer you on! Thank you, Kim! It was a great month and October was filled many goals. We’re here to cheer one another on! 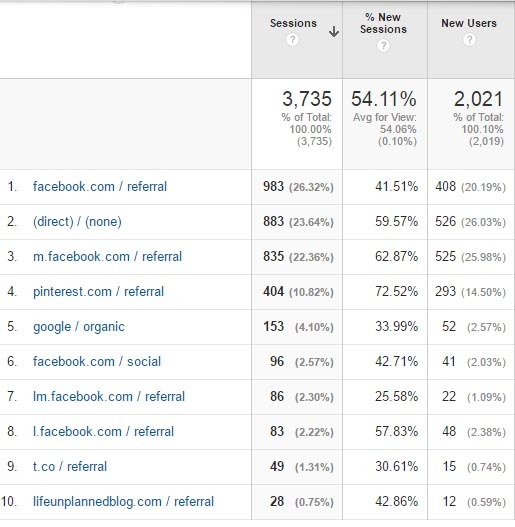 I’ve read a lot of blog income reports/goals recently and this is by far one of the best! I love how you added takeaways. Great tips! Thanks! Thank you, Niki! That is good to hear. I appreciate your comment and hope you find the tips useful! I appreciate your kind words and that you subscribed, Danielle! It’s important to me to be transparent and not only focus on the wins. There is learning in both the wins and losses. Thank you for commenting! It’s so nice to see such a REAL blog income report! Seeing the misses as well as the hits. And don’t worry, I certainly didn’t mind about the damage control email – it again, felt genuine and humble. When selling courses on blogging etc. I think it can be a real kick to a newbie’s confidence to see only WOW SUCCESSES literally everywhere. And faux hyped up failures and misses too… until they actually turn out to be total wins. Real life is much more bumpy and I like that about you! Thank you for your comments, Becca. I appreciate it! Real life is bumpy and I think it’s important to remain genuine than focusing all on hype. That would be great, Lizzy! Thank you! This is such a great post! Very motivational! It got me to actually sit down and write down my blog goals for the rest of 2016. And it was super easy because I was able to use your goals for inspiration. Thank you! I’m glad the post motivated you to get those goals written down for the rest of year and that it was so easy!